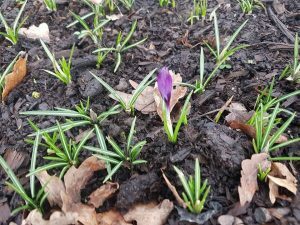 The first crocuses are springing up! The first crocuses are springing up! These bulbs were donated by us to the Grow Community Garden. The Crocus is a flower which symbolises the story of the Rotary Polio eradication programme. 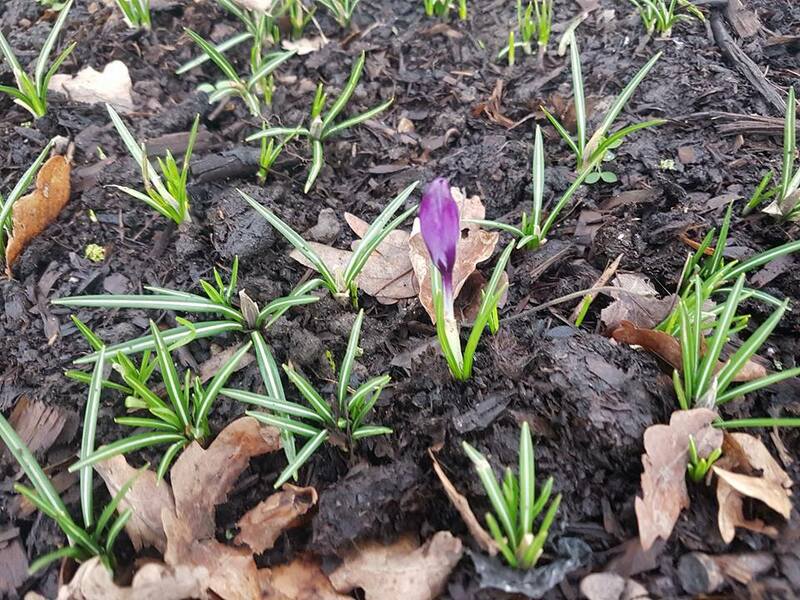 The Crocus was chosen as the purple colour matched the dye painted on the little fingers of children to show that they have been immunised.